In 2010 I raved about 365 Tonic Water. “Less sweet,” and “less cloying” than other supermarket brands, I was enamored by 365’s use of real sugar. So much so that I’ve included it in several “top 10 tonic” writeups over the years. It has been a long time since I’ve tried it, so in 2017 I’ve decided to take a second look at what was my previous “best supermarket tonic” award winner. 365 Tonic features cane sugar as it’s sweetener, along with citric acid, citrus and other natural flavors, as well as quinine. For 12 oz. 365 Every Day Value Tonic Water is an astonishing 140 calories. At first glance, 365 Tonic seems like it’s going to be sweet. And in a market where tonic waters routinely come in around the <80 calorie range, this one is likely going to be sweeter than most of its competition. The nose has sweet lemon zest on it. Medium sized bubbles erupt, but 365 Tonic gently holds on to some of its fizz as it sits. The palate has a moderate amount of fizz when sipped. Exceptionally sweet on the mid-palate, notes of citrus: orange and lime candy hints. The finish was moderately sweet, with a very very subtle bitterness. That being said, despite it being saccharine like a quinine-soda on the palate, I find that it brings just the right amount of the gin flavor to the fore, while adding an expected level of sweetness. Mixed, it’s still sweet: very sweet. But again, when comparing it to other supermarket tonics, 365 Tonic is better than its competition. I like the mouthfeel that cane sugar contributes, and I think it does a good job of not overwhelming the gin when mixed. Overall, 365 Tonic (I think) is still the best supermarket brand tonic water. For many gin and tonic drinkers who’ve become accustomed to more modern, less sweet tonics, it will be too cloying. But for those looking for an upgrade to their usual store brand, inexpensive tonic water, 365 is my recommendation. If you happen to have a Whole Foods in the hood. 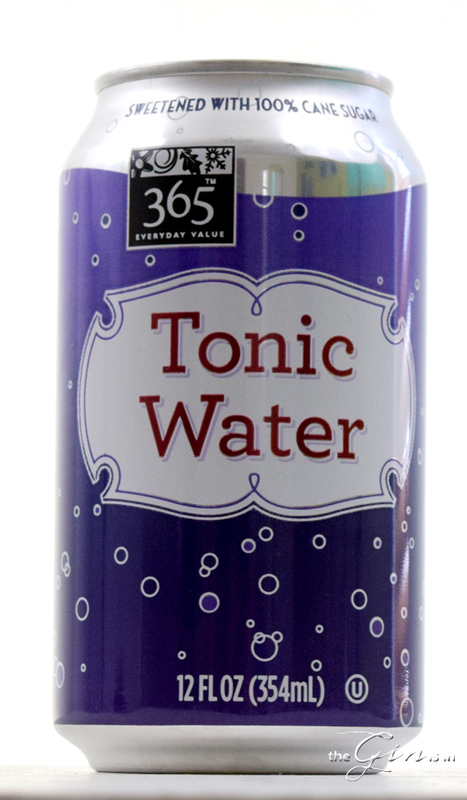 365 Tonic Water is available for about $3 for a 6 pack of 12 oz. cans.